[He who must not be named]: Mueller was ” an attempted takeover of our government, of our country, an illegal takeover.” This from a man whose election win was helped by illegal interference from Russia, according to Mueller. Why dignify that statement by repeating it? Because lies have to be confronted, but when dealing with a man who lies fluently a documented ten times a day, they come so thick and fast that they can’t be dealt with singly. It’s like debating someone who uses the “Gish gallop”, a barrage of nonsensical or illogical assertions that are too numerous to allow a response that deals with each of them specifically. The fact is that *he who must not be named treats different people in different ways. To those who share his ideological worldview, he is the most accessible and friendly of men. His superficial demeanor of open companionship is reinforced by frequent phone calls and flattery. To Republican senators, who can approve or disapprove of his plans and who are in the same Republican mini-universe, he is the most accessible of politicians. To enemies like certain Democratic representatives from his own home-town, New York City, he is an insulting, demeaning, distant adversary who is impossible to understand, much less negotiate with. The fact that *he suffers from narcissistic personality disorder and sociopathy has been well established by Mr. George “Kellyanne” Conway, husband of one of his closest advisors. Mr. Conway’s famous tweets showing the psychiatric manual for diagnostic purposes reached quite a few people, but changed few minds. Like all sociopaths, though, he can be superficially very friendly if not crossed, and he can readily draw people in to his influence by his charm. Republican congressmen have publicly said that *he is the most accessible person they have ever dealt with, and this is true because he calls them repeatedly and indulges them with his attention and flattery. *His personal style is the most dangerous of weapons when aimed at ensuring complete unity of the Republican party on most of *his issues. Meanwhile, the very legitimacy of *his election is suspect. Targeted propaganda efforts by Russian agents in support of *his candidacy as president definitely occurred and were not necessarily limited to the ones discovered in the Mueller investigation. A number of Russian operatives were indicted by special prosecutor Mueller for disinformation campaigns waged over the social media many Americans have come to use instead of traditional news programs. There are signs that *his slim election victory was facilitated by careful application of propaganda and disinformation to susceptible swing voters in carefully selected districts informed by detailed polling. 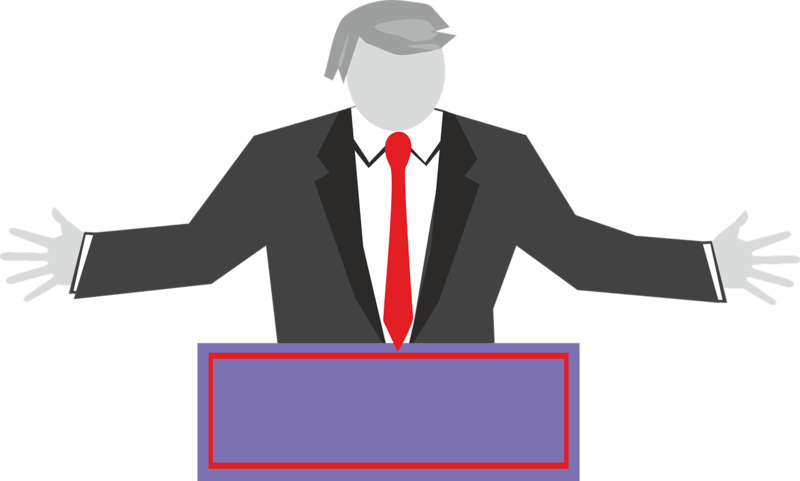 Large segments of the public whose political knowledge was limited were also subject to nonstop news coverage on television of *his speeches. I noticed a huge concentration on *his speeches and outrageous public statements on television, an equivalent to what *he said was $2 billion in free publicity. In addition, the polls that established which districts would be most vulnerable to be turned by propaganda were apparently handed to a Russian agent, Konstantin Kilimnik, by Paul Manafort. These private political polls showed which segments of the American public were likely to support the alternative candidates and which were susceptible to being convinced otherwise (“swing” voters). Propaganda efforts could be more effectively targeted at swing voters, although it is uncertain whether that actually happened. The point is that there was a significant Russian effort, with a budget estimated at a million dollars a month, to infect the American political discourse with propaganda in favor of the Republican candidate for president in the 2016 election, and that makes *his narrow victory suspect in the minds of the conspiracy-minded among us. That is what, overall, makes the current occupant of the office of president something of a wrecking ball directed at American government. Russians are happy to see our government be crippled by recriminations and investigations instead of forging ahead with forward-looking infrastructure projects. That is how the Russians won the 2016 election– they got a guy who destroys the American administration from within.